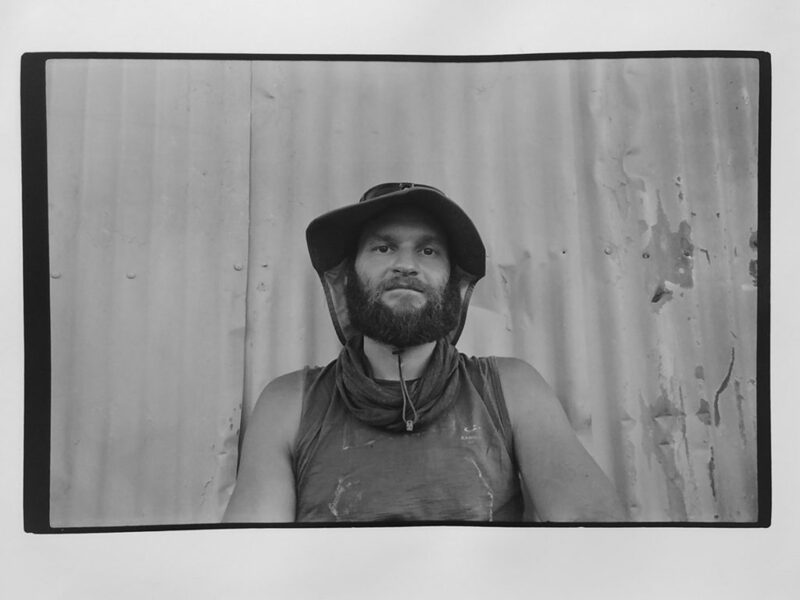 One darkroom print from a series of Pacific Crest Through Hikers. Summer 2017, continuing. This dude was resting at the Old Highway 40 intersection of the PCT on Donner Summit.